Those that prefer plants turn your eyes away now – This steak is medium rare! We finally got to sit down at the Chickadee and hubby Mr K’s steakhouse last Friday, and a very pleasant evening it was too, defined by the awesome steaks and other fine food on offer. 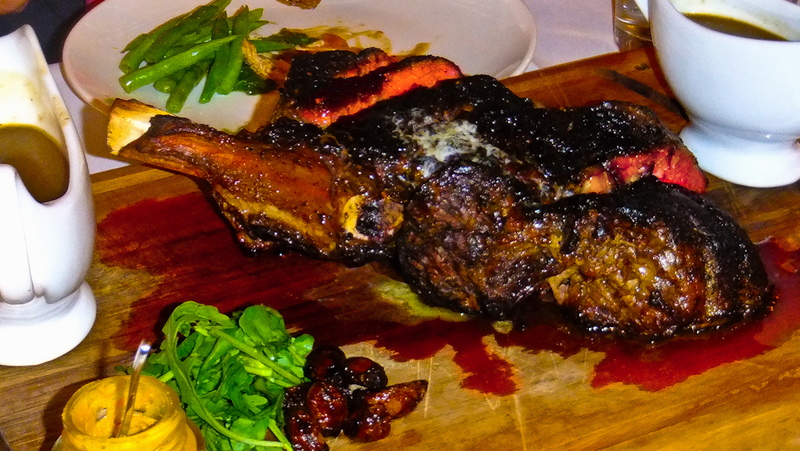 Shown above is the 1kg Ribeye on the bone (which served 6 comfortably by the way). Mr K takes obsessive care over the details, and it shows in the steak. For me the essence of a steak is the blackened, almost crispy bits by the bone, with the rest of the meat being at rare to medium. Achieving this is the quest of every great steak house, and I have eaten at most of them. The usual USA method, used at Peter Luger’s and Ruth’s Chris, is to have an oven working at incinerating temperatures, typically 700-800F, and to sear and cook very very fast. It works, but allows little control. Ril’s uses a different method, with more control, to get an amazing combination of black and red on the steak. Of course you would not do this with filet, but for the classic ribeye, it’s the only way to go (literally in KL, as there is no-where else doing this). Of course steak is not the only food available at Ril’s. 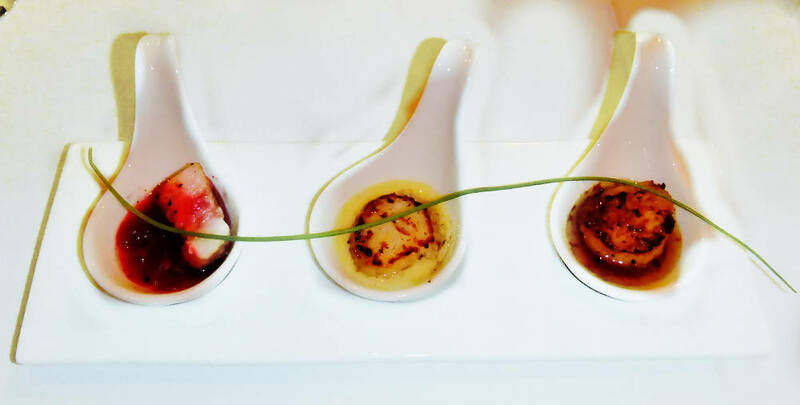 The appetizers are of an equal standard – a modern spin on steakhouse classics, delivered with Ril’s hallmark attention to detail. I am not going to run through them all – the list is shown here, suffice to say that a) you could eat a great meal on the appetizers alone. Shown below is one of my personal favorites were the Tiger Rasa scallops “seared scallops served in three unique ways, with an intense flavour profile moving from sweet to sour to salty”. 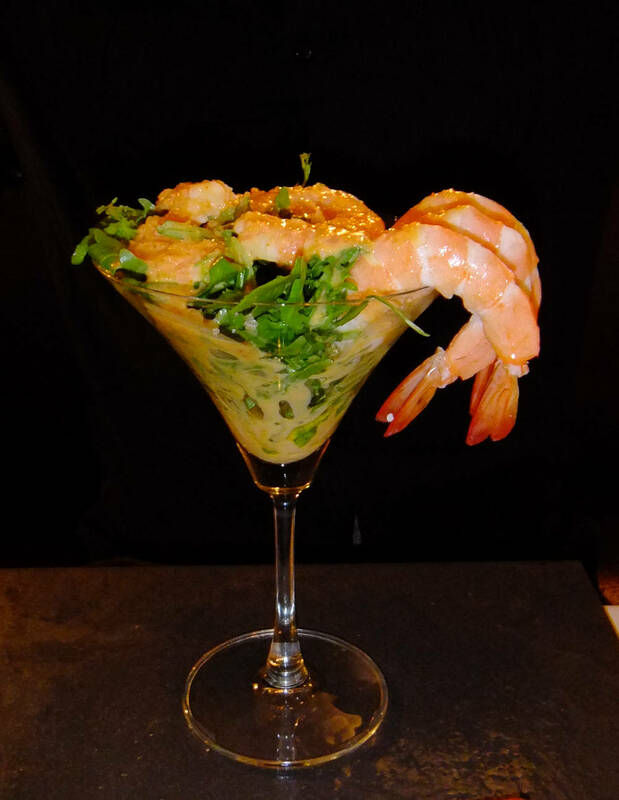 And here is the lipsmacking, classic 70s prawn cocktail with a twist, “served chilled in a martini glass on a bed of peppery greens and drizzled with a revamped marie-rose sauce”. And of course there are the desserts. 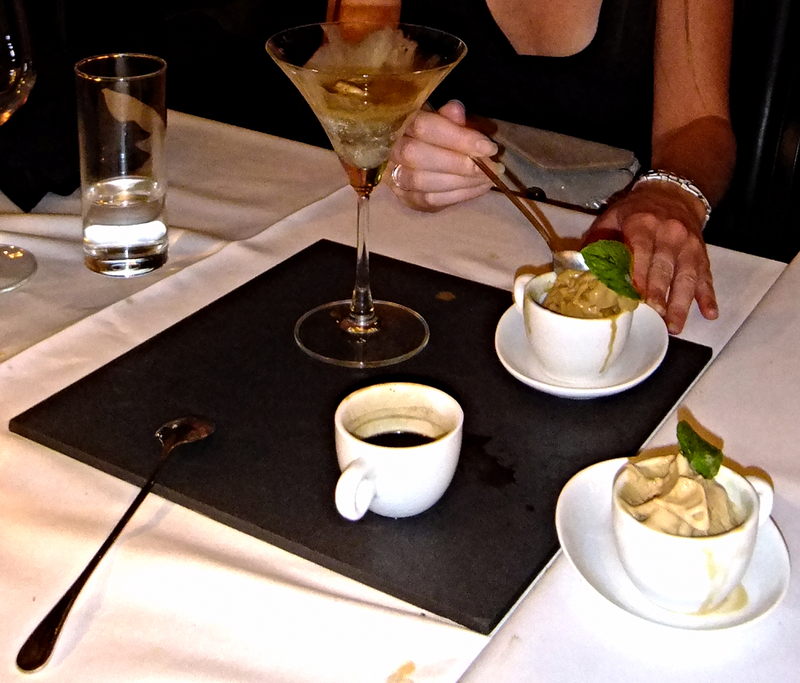 Shown below is the stupendous Salted Gula Melaka Affegato (with espresso on the side), and next to it, the equally amazing Guinness ice cream. Check out the list to see the whole range – we tried them all including the traditional apple crumble to the chickadee’s recipe, and they were all yum. 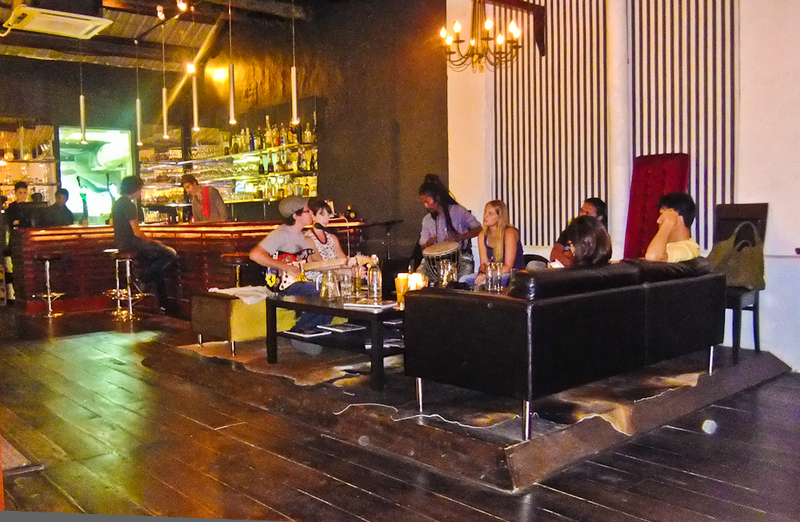 A final snap of the joint – on Friday evenings, Neil and some of his friends play gently in the bar. He has an amazing voice, and a wonderful array of Van Morrison, Dylan and Band interpretations as well as stuff that you young people may like. I guess it’s the family influence, but one of the nicest musical accompaniments that I recall eating to, and way better than the throbbing intrusive pap you often get. So overall, Ril’s is the easiest, most comfortable and out and out tastiest place in KL, and I have now tried very many of them. If you haven’t been yet, give it it a try. Booking now essential at weekends, and a good idea most evenings. You can get the necessary info here.